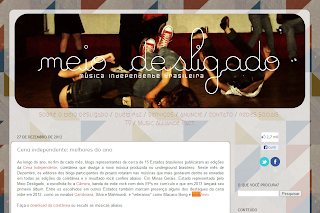 "Ao longo do ano, no fim de cada mês, blogs representantes de cerca de 15 Estados brasileiros publicaram as edições da Cena Independente, coletânea que divulga a nova música produzida no underground brasileiro. Neste mês de Dezembro, os editores dos blogs participantes do projeto votaram nas músicas que mais gostaram dentre as enviadas em todas as edições da coletânea e o resultado você confere abaixo. Em Minas Gerais, Estado representado pelo Meio Desligado, a escolhida foi a Câmera, banda de indie rock com dois EPs no currículo e que em 2013 lançará seu primeiro álbum. Entre os escolhidos em outros Estados também marcam presença alguns dos destaques da cena indie em 2012, como os novatos Cambriana, Silva e Mahmundi, e veteranos como Macaco Bong e ruído/mm. 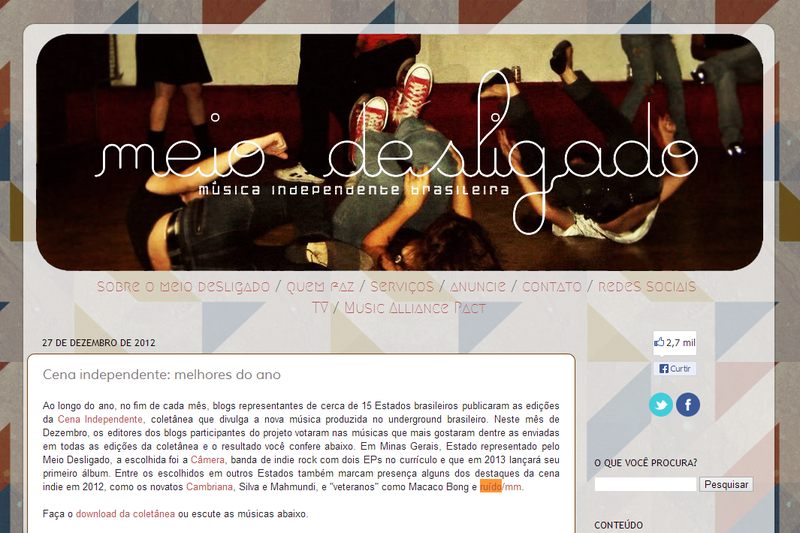 Faça o download da coletânea ou escute as músicas abaixo." 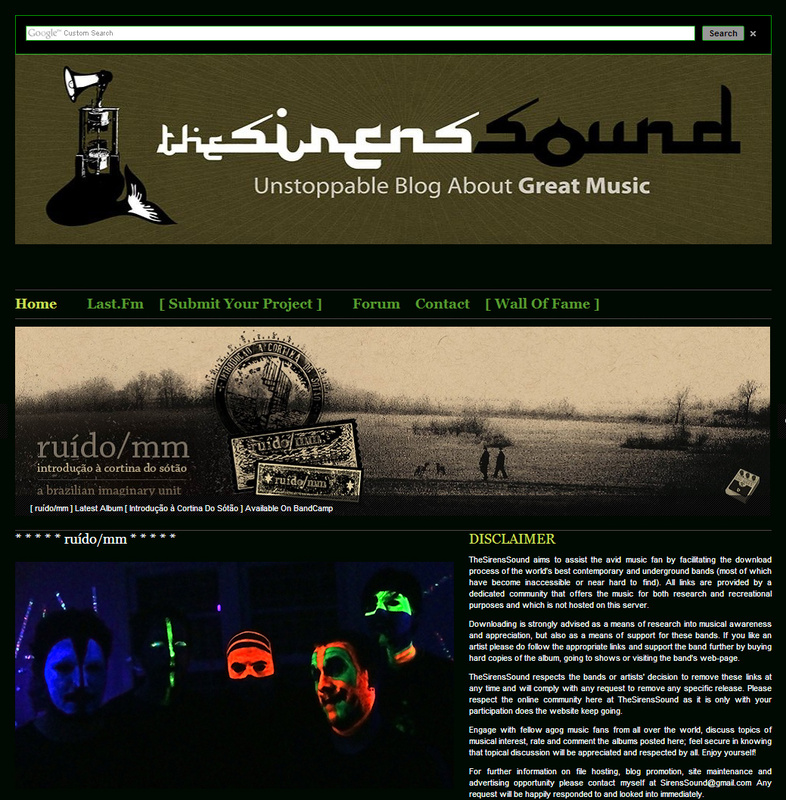 "The band is called ruído/mm, which could be translated as noise per millimeter – an imaginary unit created to represent what cannot be described or verbalized. This is the comparison and the approximation the group attempts to develop and achieve thought its compositions, where electric guitar FX experiments meet contemporary classical piano themes, reaching the listener in a synesthetic way. According to Pitchfork, their tunes could be described as sort of a 'spaghetti-western space rock music'. Although this might sound weird, it gives the right idea about how far this band’s horizon (or the rabbit hole) goes. And what is most surprising about these Brazilian folks is not the range of their musical references, but how they blend them as they weren’t there at all. 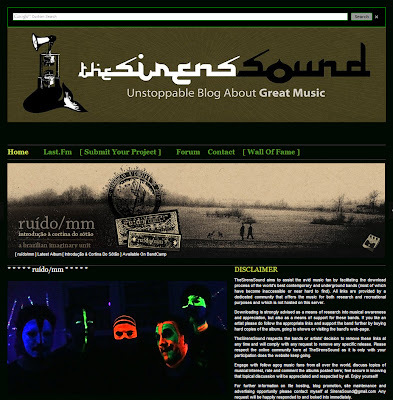 Founded in 2003, in Curitiba (a very cold Brazilian town) ruído/mm is now a leading representative of the Brazilian post-rock scene. The quintet has been disseminating their noisy work through several concerts and had the scope of their music amplified by the work of journalists, bloggers and fans from inside and outside the country. Their curriculum has three critically acclaimed albums: “Série Cinza” / Grey Series (Ruído Corporation, 2004), “A Praia” / “The Beach” (Open Field Records, 2008) and “Introdução à Cortina do Sótão” / “Introduction to the Attic’s Curtain” (Sinewave, 2011)."